I’ve read a few of the biographies from this collection now and every time, I’m surprised by how different they each are. Given, I’m including books from The Generals series as part of this overarching series, but still these are definitely not formulaic biographies. Each edition is well-researched and approached from a unique standpoint, making them very engaging to read. Which brings me to Fyodor Dostoevsky. I’ve been meaning to read some of Dostoevsky’s work for years now, but for one reason or another, I’m left with that gaping hole in my reading accomplishments, so I thought perhaps reading about the man would lead naturally into reading his books. Hopefully, that’s the case. I will say, though, that this was a very interesting biography framed as a series of conversations. Most of it had me flipping through the pages with anticipation, though there were a few sequences that left me a bit disinterested. Keys that I took from this book and really enjoyed were threefold. First, I really enjoyed understanding how Dostoevsky’s philosophies took shape. In the book, you get a good sense of how he formed his opinions on life and eternity and all things in between. Had I read his books, I get the sense that these stories would’ve leapt off of the pages at me because his writing is reportedly quite transparent. Second, I was struck by his sense of purpose and the passion with which he pursued that calling. He certainly wasn’t perfect and knowing how he overcame the multitude of distractions that plagued him throughout his lifetime gives me a sense of hope that I can do the same. 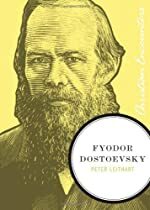 Finally, Dostoevsky’s strategy for accomplishing his goals – reaching out to the people, writing about topics and concernds of “pop culture” like interest, and essentially building a platform from which to launch his greatest seem way ahead of his time. Now, it’s the standard operating protocol. No wonder his writing has held up so well over time.